the passion for your work and a contemporary approach to it, as regards an online presence, a self-marketing strategy and an orientation to knowledge sharing, one of the basis of internet, can guarantee you improvements related to your own knowledge and your business. Today, railwaysignalling.eu speaks with Victor Martìn. 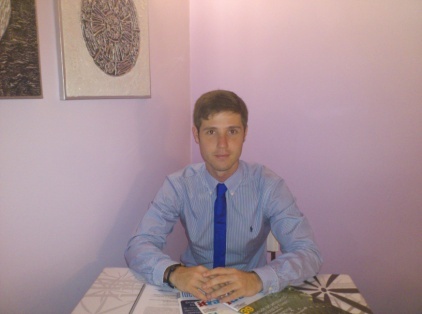 Victor is a Spanish Telecommunication engineer, specialized in technical writing and in the railway field. He´s the founder of the blog “Victor Martin_Comunicaciones Ferroviarias”, and collaborates with several railway and telecommunication magazines. The example of Victor clearly demonstrates that the passion for your work and a contemporary approach to it, as regards an online presence, a self-marketing strategy and an orientation to knowledge sharing, one of the basis of internet, can guarantee you improvements related to your own knowledge and your business. Would you like to start thinking about your work and your passion in a more exciting and productive way? Why not become a copyrighter for our technical e-journal? Contact us and propose your application! Victor, let’s start talking about your academic career. What do you think about Politecnica of Madrid? How does it work? Do you suggest it to young students? How could it improve its services? You have a really contemporary approach to your job. How do you place the concepts of “community”, “bloggers” and “social network” in the field of engineering? Let’s talk about your activities as e-journalist and blogger. Why you decided to write technical articles? You’re surely very busy in your working-day, so how do you manage time? How do you find time for writing? Can you tell some examples of positive feedbacks you’ve gotten doing this activity? What about your “telecommunication systems for high speed railways”? How it was born? Who are the recipients? Do you have troubles speaking in public? Summarize in few words the importance of technical publications and social networking for young professionals.